The best flavors soil and sea have to offer. Intensely aromatic wild Italian Urbani white truffles nestled in a light dusting of hand-harvested grey Fleur Du Sel Salt on thin slices of crisp heirloom potatoes. Luke's is ALWAYS: Organic, Non GMO, Gluten Free! Snacking is meant to be tasty. 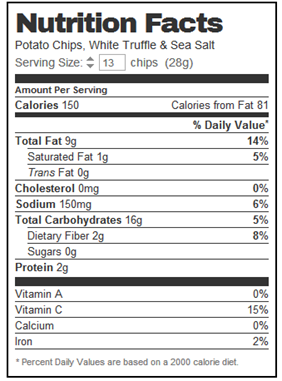 They focus on real, whole ingredients to bring out the great taste of our crisps, crackers, and chips. They also focus on the farm. 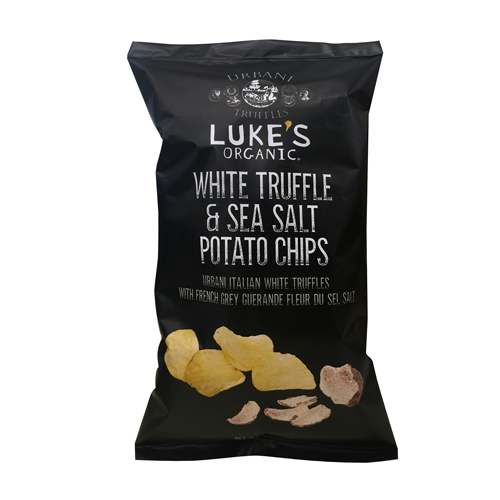 Luke's Organic is vertically integrated - from seed to farm to factory to bag. Snack like a kid - live like a grown up!